Nothing ventured, nothing gained. No risk, no reward. Popular sayings for many entrepreneurs and small business owners and a pioneering attitude that undoubtedly serves them well. 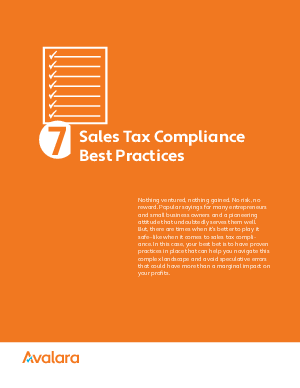 But, there are times when it’s better to play it safe—like when it comes to sales tax compliance. In this case, your best bet is to have proven practices in place that can help you navigate this complex landscape and avoid speculative errors that could have more than a marginal impact on your profits.